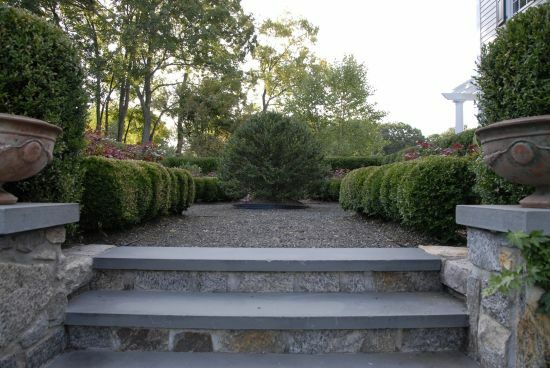 Whenever you are transitioning from one grade to another you will need a set of steps to do so. 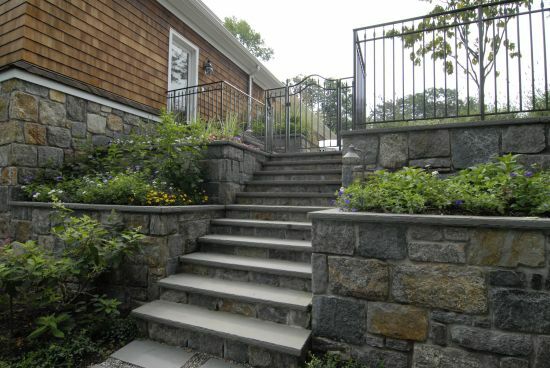 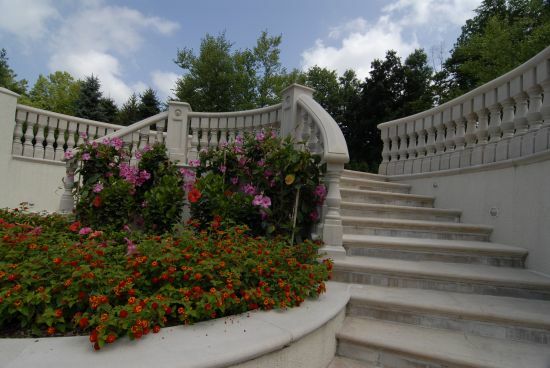 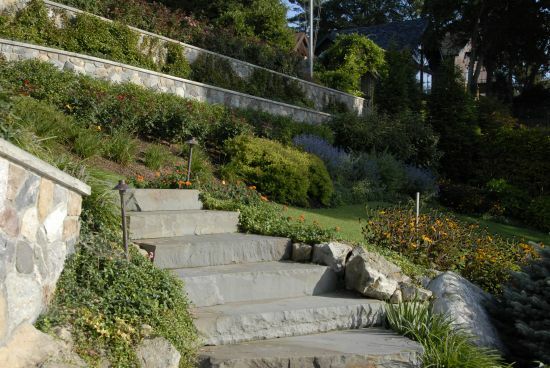 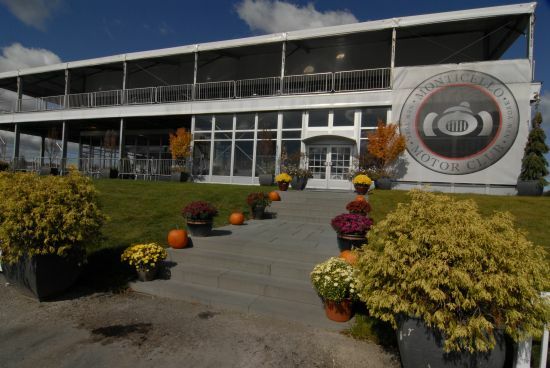 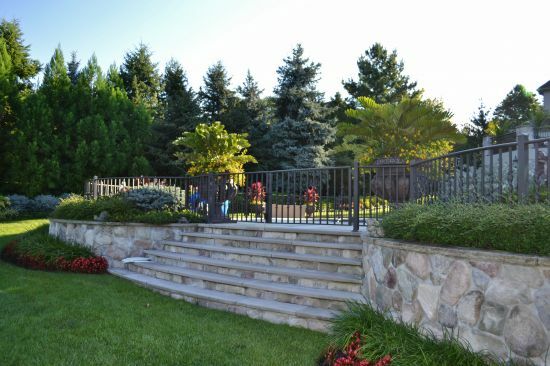 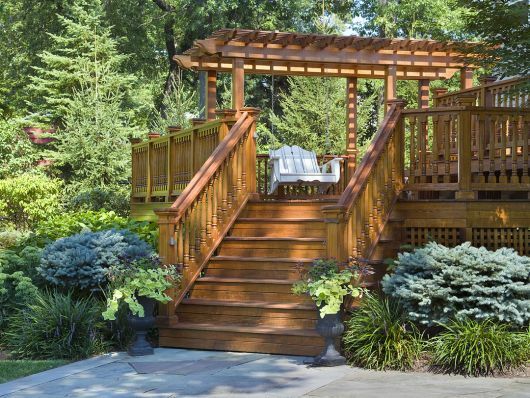 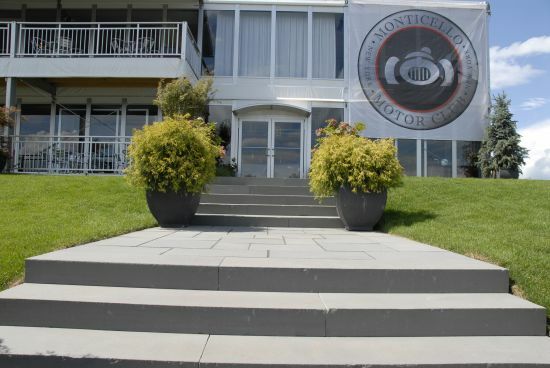 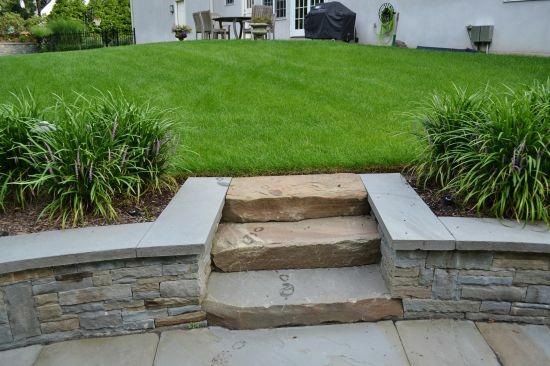 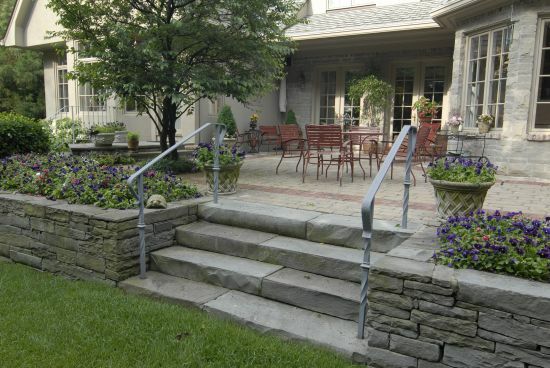 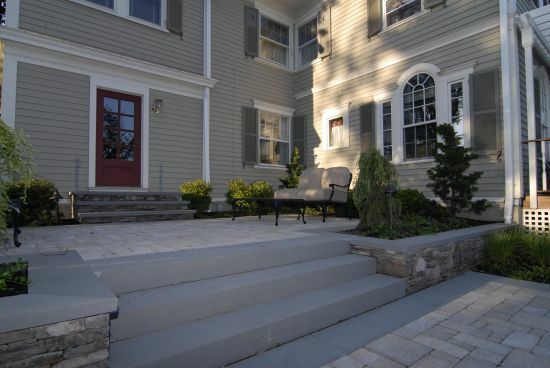 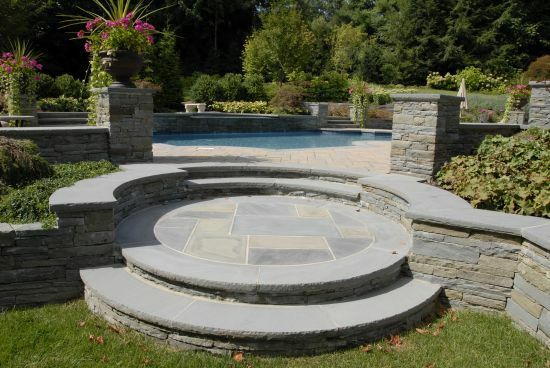 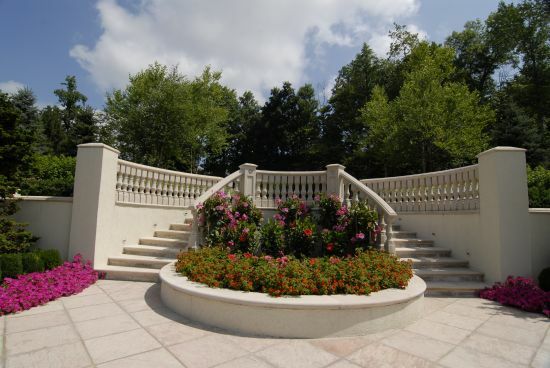 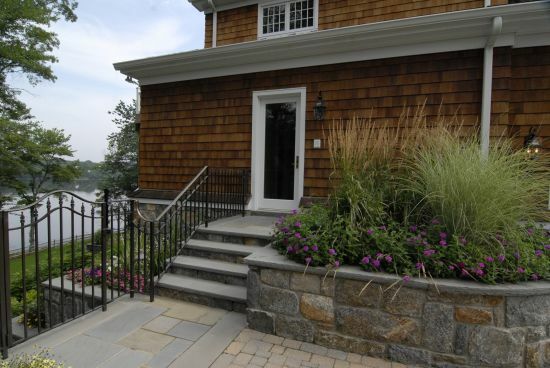 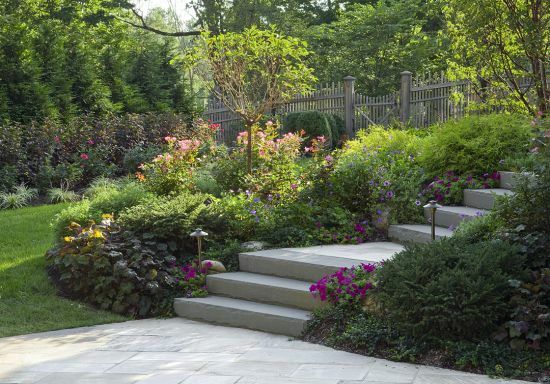 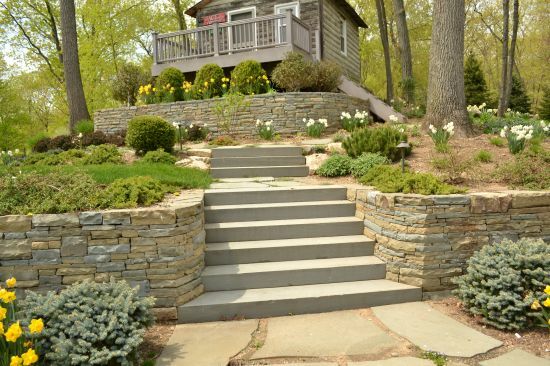 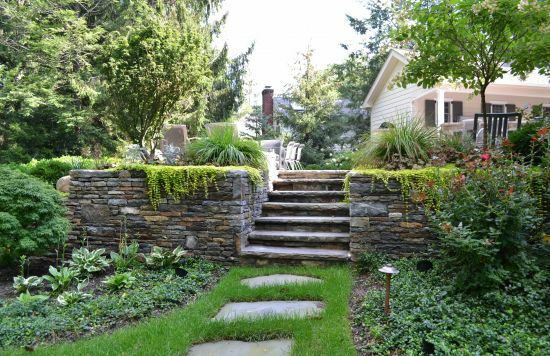 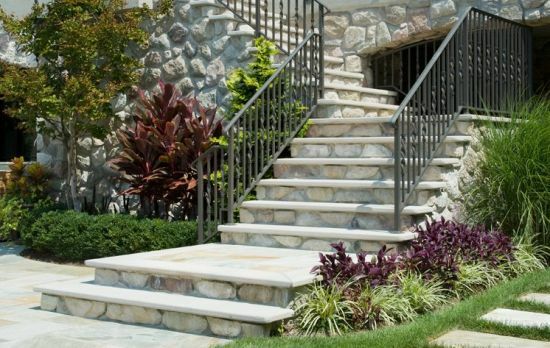 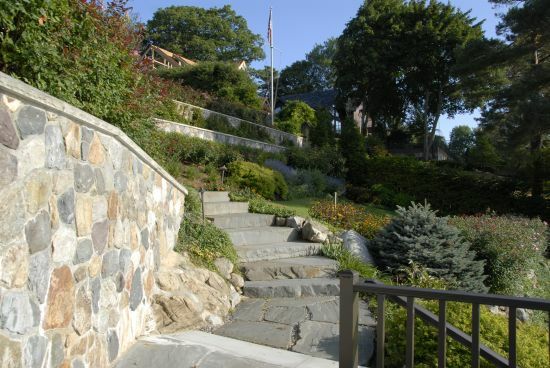 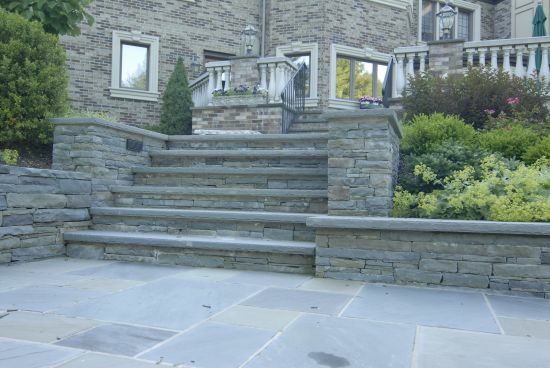 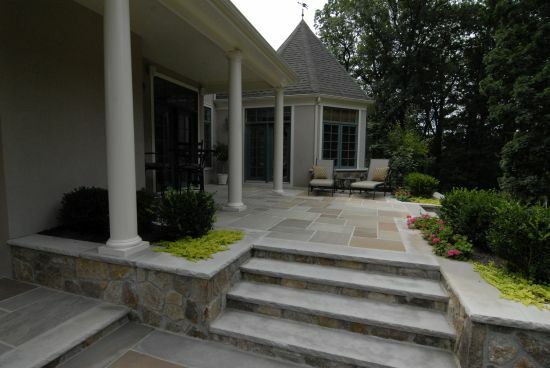 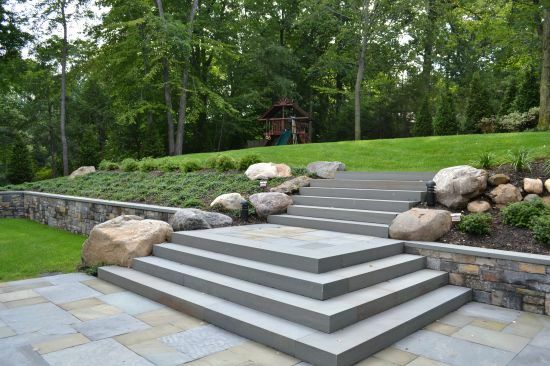 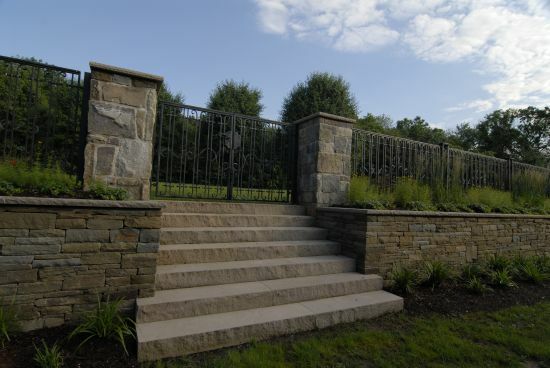 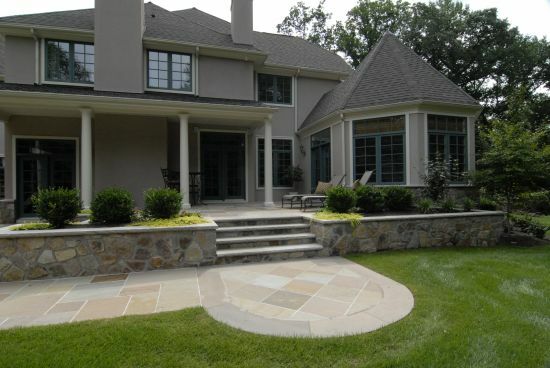 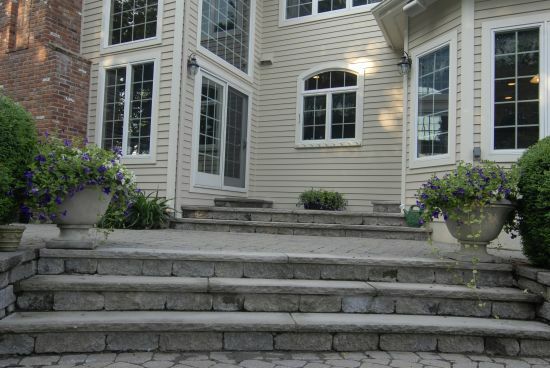 Steps can be constructed of single slabs of stone of varying materials, wood “deck” steps or masonry. 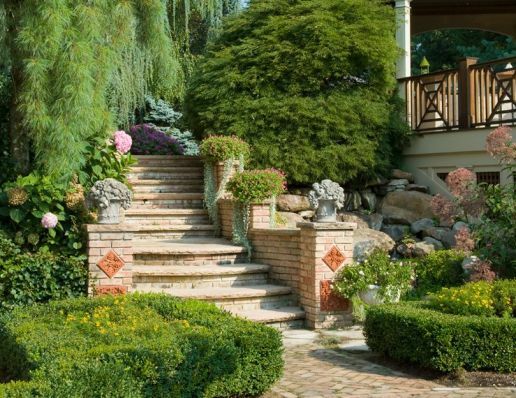 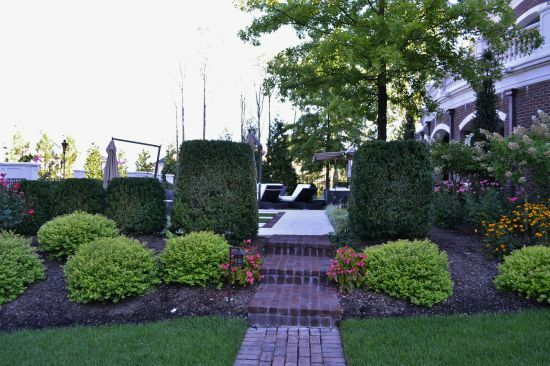 Their design can be as simple as a straight line to your destination or as elaborate as a winding set of radial or angled rises taking you through decorative sections of your garden.